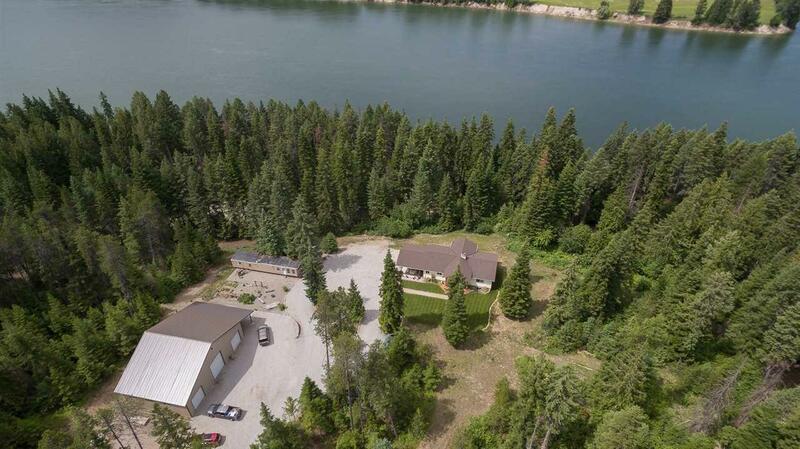 Private Pend Oreille River home bordering forest land on a secondary lot with trail access only 185 ft from river. Updated throughout & beautifully decorated with 6 bedrooms, 3 baths. Master suite w/jetted tub and private access to view deck.Floor to ceiling stone fireplace, vaulted great room. Daylight walkout lower level would make great guest or in-law setup! New deck runs length of home. Extra building/office/man/woman cave. 40x60 heated shop with RV door & heated cooled storage.